Appreciating all people for who they are is one of the most important messages of social justice in modern society. But in a world where appearances on social media is one of the most culturally important driving forces in creating someone’s status, accepting those who are different as equals isn’t always easily done. In a world where beauty is still the ultimate free pass, society needs heroes for those people who are living on the fringes. The protagonist of the new black comedy television series, ‘Hammerhead,’ isn’t afraid to challenge the status quo, especially since his physical appearance doesn’t fit the societal norm of beauty. Dean Imperial wrote, directed and served as the showrunner for the first season of ‘Hammerhead,’ which screened during the Episodic Pilot Competition at last month’s SXSW. 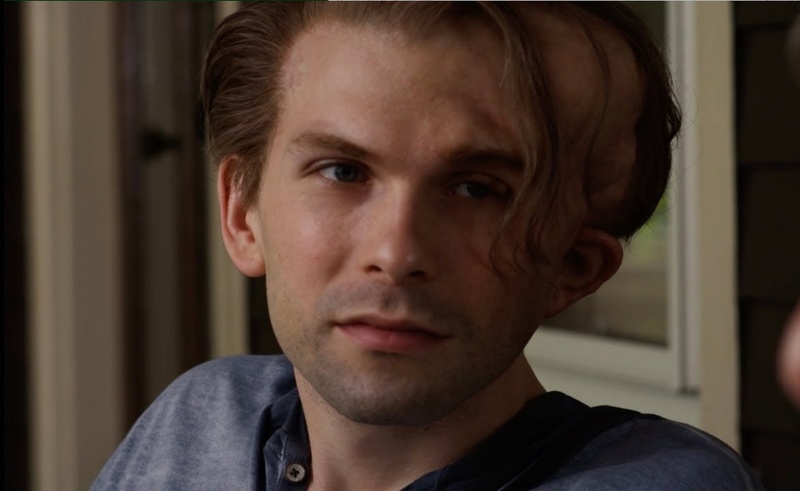 The series follows the life of recent college graduate John Hammond (Sam Gilroy), who was born with Proteus syndrome, the same condition as Joseph Merrick, who’s known as The Elephant Man, although John’s case isn’t nearly as severe. Faced with adversity his whole life, he is now ready to leave home after graduate school, move to New York City and succeed on his own. With the help of his therapist (Richard Cooper, who also serves as an executive producer), John is faced with the challenges that life and ambition bring. Compounded by his appearance, John decides through sheer force of will, determination and strategy to accept who he is, while also navigating his way through cruelty, undermining personalities and his own emotional ups and downs. Imperial, Gilroy and Cooper generously took the time during SXSW to discuss writing, directing, starring in and producing ‘Hammerhead’ during an exclusive interview. Among other things, the filmmaker and actors discussed that they were drawn to telling an underdog story about a normally marginalized character who actually succeeds, which serves as a universal story that all audiences can understand. The trio also expressed their gratitude for the show playing at the Austin-based festival, as they appreciated seeing the positive affect it had on audiences. ShockYa (SY): Dean, you wrote and created the new series, ‘Hammerhead.’ What was your inspiration in creating the show, and what was the process of penning the story like overall? Dean Imperial (DI): Well, this was an idea I carried around for about a year. I had written it down, and had it in the back of my head, but hadn’t quite figured it out yet. The idea came from a desire I had to write a television show that I could see last several seasons. I was particularly drawn to telling an underdog story about a marginalized character who usually gets pushed off to the shadows. But in this story, he would succeed. He would have the determination to move forward, and make his way. This is a universal story, because we’re all this character. I then started working with Sam at a theater company, and we started a collaboration that led to us making a short film. I thought he was an extremely talented actor, and we had great chemistry, so I thought, I’d like to write some more for him. I then met Rich Cooper at an improv group, and we got along great. He was interested in investing, and making something from scratch. So I started to put this all together.